The remains of the oldest prehistoric bridge in Britain have been found at Vauxhall about 100m upstream from the outflow from the River Effra. The bridge suggests that their was a significant settlement nearby. The discovery of the two lines of oak posts date to between 1750BC and 1285BC (the middle Bronze Age). 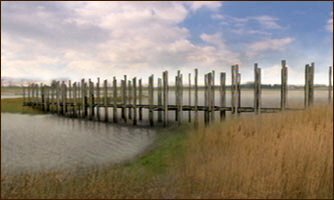 It is thought that the bridge would have been made of planks resting on the lines of posts. The posts were about 5 meters apart and angled inwards forming a cradle. The river would not have been as we see it today – it would have consisted of a number of shallow channels spreading over the marshy land. 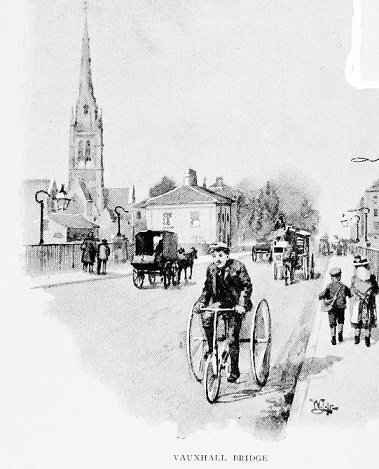 In 1340 the Abbot of Westminster had to repair a bridge over a creek near the present day Vauxhall Cross. This bridge was called Cox’s bridge (Cokesbrugge). 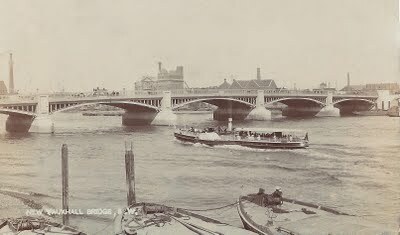 At later times this bridge was known as Vauxhall Bridge however this bridge was just over what is now called the River Effra, which feeds into the Thames at Vauxhall. In modern times, the first Act authorising a bridge, across the Thames at Vauxhall, was granted in 1809 to The Vauxhall Bridge Company. The idea behind the bridge was to encourage development on the mainly rural south bank. Although the plan was farsighted, the company could not expect a quick return on their investment, and from the start the project was under-funded. By 1811 work had begun and a second Act was passed. 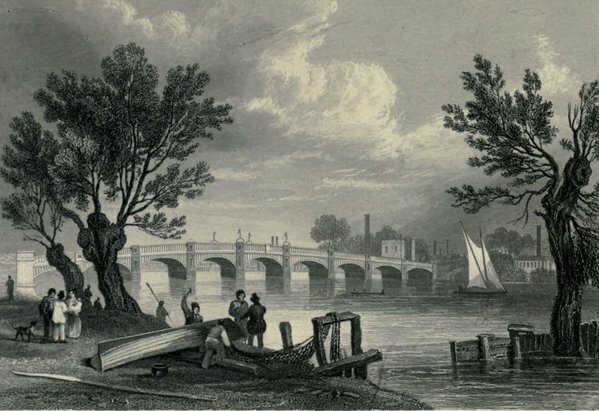 Lord Dundas, representing the Prince Regent, laid the first stone on the Middlesex side in 1811 for what was at first called the Regent’s Bridge. Work on the Surrey side started in 1813 when Prince Charles of Brunswick laid the first stone. 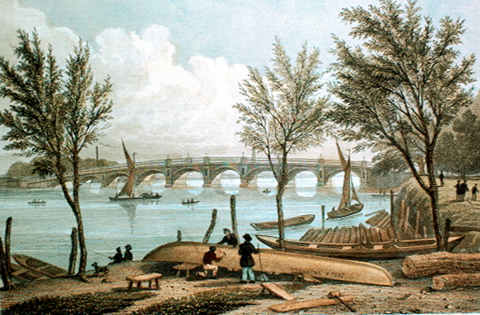 The first engineer was the renowned John Rennie (1761-1821) who planned a stone bridge with seven arches. However, the company was running short of money so Rennie created a new design with eleven cast iron arches. Rennie’s revised plans were not accepted and after several months Mr J. Grellier was commissioned to build an iron bridge with nine arches to a design by Sir Samuel Bentham. This meant taking down all of Rennie’s work. The Bentham plans were abandoned after doubts over the quality of the work and James Walker was appointed to build a bridge of nine 78-foot cast iron arches on masonry piers in May 1813. 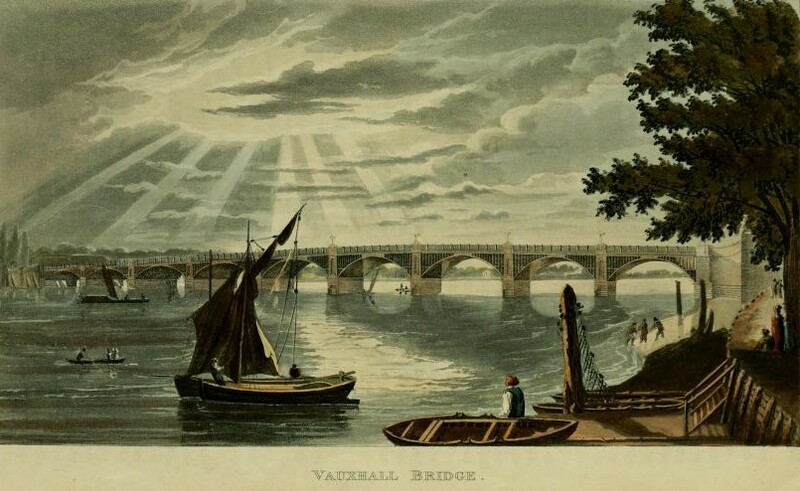 Walker’s bridge was the first iron bridge over the Thames, and was 809 feet long and 36 feet wide, was opened on 4 June 1816 and formally called Vauxhall Bridge. After all the false starts the bridge cost £175, 432 but compensation to ferry men and construction of Vauxhall Bridge Road took the overall total to £296,988. The initial tolls ranged from 1d (one penny) for pedestrians up to 1s 6d for a heavy wagon and brought in only £4977 in the first year. The company was in serious financial difficulties as tolls only reached £13,243 when it was taken over by the Metropolitan Board of Works for £255,000, and ceased to be a toll bridge at a ceremony led by the Prince of Wales on 24 May 1879. Two central piers were removed in 1881 as they were impeding river traffic and replaced by one long arch. 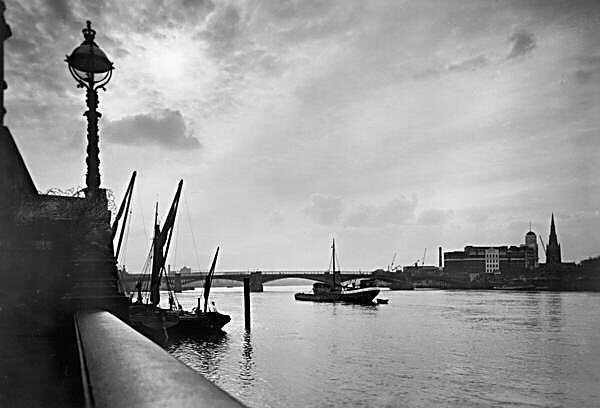 Time and the strong scouring effect of the Thames had also undermined the remaining piers which had to be protected by bags of cement and 500 tons of iron slag. This was only a temporary solution and the London County Council (who had taken over as owners from the Metropolitan Board of Works) had no choice but to rebuild. The initial rebuilding plan, by Sir Maurice Fitzmaurice, was for five concrete and granite arches. This was superseded by five spans in steel, designed by Sir Alexander Binnie, standing on granite piers. Work started on July 1898 and the bridge was opened by the Prince of Wales on 26 May 1906 at a cost of £484,000 (or £600,000 or £2million depending on the source). The bridge was 80 feet wide and 809 feet long and was the first to carry trams. For ornamentation there are bronze figures symbolising Pottery, Engineering, Architecture and Agriculture upstream, and Science, Fine Arts, Local Government and Education downstream modelled by Alfred Drury R.A. and F W Pomeroy R.A.